I am a lawyer at Murphy Battista’s Vancouver office. My practice focuses on representing plaintiffs in ICBC/motor vehicle accident claims, medical malpractice cases, class actions, products liability matters, insurance disputes and disability claims. After my call to the BC Bar in 2005, I articled and practiced at a respected firm in downtown Vancouver defending hospitals and representing defendants. From 2007 to 2009, I practiced law in London, England, where I was lucky to have met my wife. I used my skills in advocacy and persuasion to convince her, originally from Calgary, to move back to Vancouver with me in 2009. At that time, I started practicing in one of Canada’s most well-respected litigation firms representing physicians in medical malpractice actions, which is what I did until I joined Murphy Battista. Given my experience as a defense lawyer, I am well-acquainted with the tactics used by defendant insurers. I take great pride in being able to use my knowledge to ensure that my clients are fairly and adequately compensated for their losses. I understand that most people feel like fish out of water when involved with our legal system. I see part of my job as ensuring that the dispute resolution and litigation processes are as stress-free as possible for my clients and their families. My top priorities are to assist my clients to gain access to the appropriate treatments and resources to enable them to recover as much and as quickly as possible, and to ensure that my clients clearly understand the personal injury claim process. At the same time, I fight hard to make sure my clients obtain fair and adequate compensation for such things as pain and suffering, loss of past and future income, and costs associated with accommodating injuries. Born and raised in Burnaby, I attended Moscrop and Burnaby Central secondary schools and obtained a BA in philosophy at SFU before completing my law degree at the University of Alberta in 2004. My wife and I now live on the North Shore and spend most of our free time trying to keep up with our three children. My family has been very active in fundraising for cancer researching including participating in the Ride to Conquer Cancer since 2009. How can I describe Scott Stanley and his team? Excellent communication, well spoken, punctual, well organized, thorough, detail oriented, client-oriented, protecting client well-being, in-depth knowledge of personal injury laws/case laws, experienced team. I have been working with Scott and his team (Leslie McDougall (legal Assistant) & Andrew Brine (lawyer)) for many years on my case and I am extremely impressed with their professionalism and staying on top of my case amongst many others, while maintaining consistent contacts and keeping me up to date through emails and phone calls. I had a previous lawyer before Scott and trust me, I have never met the previous lawyer aside from his articling student who were negligent in their job. Scott was willing to taken on my case and was able to attain a great outcome through hard work and commitment in his responsibilities as my legal representatives. Being able to contact Scott, Leslie and Andrew when I needed them, either, at the office (in person), email or cell phone, was very important and they were quick to respond if, they were in trial. Having a team like Scott’s has been life saving and most importantly, mentally supportive, for me and my family as it was tough at the beginning as my 2 vehicle accidents negatively affected my way of life and work. Having them close by with just a phone call away gave me a peace of mind that I am well taken care of. Don’t be attracted to flashy advertising on TV/internet or newsprints or being amongst the top searched personal injury lawyer on google, because that was how I found my first lawyer. It was a bad decision. I was lucky enough to have met Scott through an acquaintance who was also his past client. Working with Scott and his team has been the wisest and smartest decision as Scott was able to get me an excellent outcome without going to trial. My family and I are thankful and appreciative of everything Scott and his team has done for us and would 100% refer everyone to him when they need someone who will stand by them after suffering any injuries. 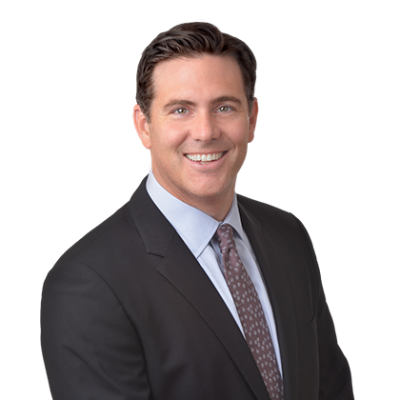 I stronger encourage you to first do your research (to fill the questions and curiosity you have about personal injuries)and then consider Scott Stanley, at Murphy Battista, as your personal injury lawyer. There are lots of information on what to do on their website when you’re injured so check it out. Thank you so much for everything Scott & Team! When I first met Andrew Brine, I knew I was in good hands. He gave me the ability to focus on healing and also a sense of hope, while he took care of the rest. Paul Bosco and Scott Stanley also helped with my case, and they are all amazing lawyers. They genuinely care about their clients and work together as a team, to help you get what you deserve. I had a different lawyer before I switched to Murphy Battista and I am so glad I did! The amount of work Andrew and his team did in two years, was way more than what my previous lawyer had done in five years. I cannot thank them enough for everything they have done for me. I highly recommend Andrew to anyone who is looking for a lawyer. Thanks once again!! I understand that most people feel like fish out of water when involved with our legal system. I see part of my job as ensuring that the dispute resolution and litigation processes are as stress-free as possible for my clients and their families.